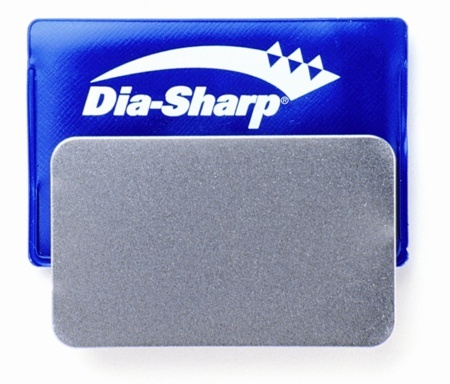 Take your sharpening anywhere with the ready-to-go Dia-Sharp® credit card sized diamond sharpener. Fits easily in pocket or wallet. Each sharpener comes in a convenient vinyl color-coded carry case. Measures 3-1/4" x 2" x .05"